A Dundee man plead guilty to multiple charges in March for playing a role in the murder of Gervais resident Kenny Kalugin in November, 2017. Zachary Urton, 37, will serve a minimum of 30 years to life in prison after pleading guilty to charges of aggravated murder and two counts of attempted robbery in circuit court on March 19. Urton was the last of three suspects tied to the death of Kalugin, 37, who was found in a car dead from multiple gunshot wounds in a Salem alley 16 months ago. According to court documents, Urton joined Jose Barboza-Manzo, 22, and Vanessa Garcia-Beiza, 25 on Nov. 10, 2017 with the intent to meet Kalugin in Salem for drugs. During the meeting, Urton — a convicted felon who an arrest record that includes illegal possession of a firearm, robbery, delivery of methamphetamine, delivery of heroin and menacing charges — admitted to shooting Kalugin multiple times with the intent to take the drugs by force. The three suspects fled the scene in a vehicle driven by Garcia-Beiza, which was identified by witnesses driving by the scene of the shooting prior to Kalugin's death. Barboza-Manzo and Garcia-Beiza were arrested in the days following the shooting, while Urton was arrested on Nov. 21 after attempting to elude a police officer in a car chase incident. At the time of his Nov. 21 arrest, a warrant for Urton had already been issued for multiple charges, including meth and heroin possession, as well as delivery of drugs within 1,000 feet of a school. On Feb. 22, he was sentenced in Clackamas County to 25 months in prison on charges of attempting to elude a police officer and felon in possession of a firearm, both from the Nov. 21 car chase incident. Urton is the second of the three suspects to plead guilty to Kalugin's murder after Barboza-Manzo did so in December, 2018. Garcia-Beiza is also facing charges of murder and first-degree robbery, and is currently awaiting trial. 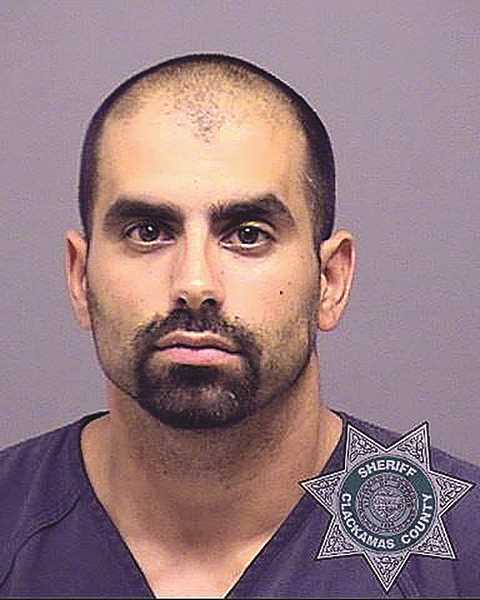 Barboza-Manzo was the first suspect to be arrested after Salem Police detectives apprehended him at a Tillamook County residence following a standoff with Oregon State Police SWAT. Five days before he was scheduled to stand trial, Barboza-Manzo pleaded guilty to the murder, admitting his involvement in the robbery that led to Kalugin's death. Garcia-Beiza was arrested shortly after Barboza-Manzo on charges of first-degree robbery and murder. She addmitted in court documents to driving Barboza-Manzo and Urton from the scene after hearing gunfire. Urton awaits further sentencing in April. Aggravated murder is a Measure 11 crime that carries a mandatory 30-year sentence. Urton's guilty pleas to attempted robbery stem from separate events occuring the same month as Kalugin's murder and carry sentences of 10 years consecutive to the murder charge.